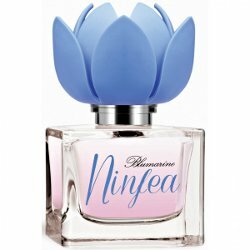 Italian fashion house Blumarine will launch Ninfea (Waterlily), the brand's latest fragrance for women. Ninfea was inspired by 'spontaneous, romantic and sentimental' women. Ninfea was developed by perfumer Émilie Coppermann. Notes for the floral citrus include orange, gardenia leaves, lotus, grains of paradise (Guinea pepper), solar jasmine, lavender, waterlily, orchid, musk, sandalwood, ambergris and vanilla. Blumarine Ninfea will be available in 30, 50 and 100 ml Eau de Parfum.